Do you remember when you first became a Christian? Everything was new. The Bible was like an open book filled with treasures. Prayer was an exciting experience as we spoke to the Living God. Singing in church and hearing the Word of God was a fresh new blessing. Everything about God, the Word and the Christian life produced great wonder in our hearts. As the years have passed, have we lost the wonder? Do we now read the Word; so we won’t feel guilty? Is prayer a habit without any fervency? Has church become a bore? We know that we are saved, but have we lost the wonder of God? Without the wonder, our Christian life loses its excitement, joy and delight. Have we lost the wonder of His person? 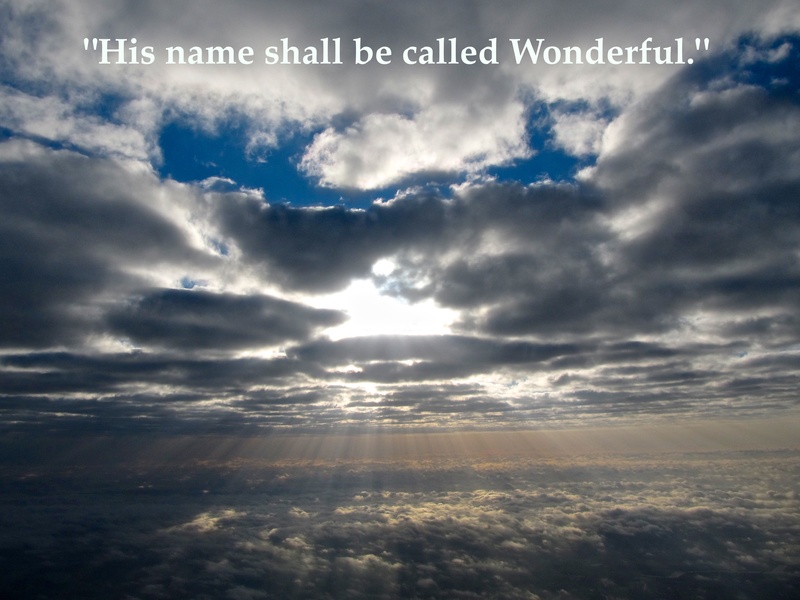 “For unto us a child is born, unto us a son is given: and the government shall be upon his shoulder: and his name shall be called Wonderful, Counsellor, The mighty God,The everlasting Father, The Prince of Peace.” (Isaiah 9:6) His name is called “Wonderful”. There are several ways that His very person should naturally create wonder in our hearts. Have we lost the wonder of His Word? “Open thou mine eyes, that I may behold wondrous things out of thy law.” (119:18) The Psalmist understood how easy it is to take the Word of God for granted. His prayer was that he would once again approach the Word of God with great wonder. We find it easy to casually read the Word. We approach the Word like a textbook instead of retaining the wonder that God is actually speaking to me! Here are some ways that the Word of God creates wonder in our hearts. The Wonder of His People. Have we lost the wonder of His works? “For thou art great, and doest wondrous things: thou art God alone.” (Psalm 86:10) Many of us have heard the Bible stories since we were children. When we read about God’s works in the Bible, we no longer view them with childlike wonder. This lack of wonder causes our faith to diminish. When we look at God’s works from a fresh perspective the wonder will be restored. Here are some of His works that we can view with renewed wonder. Brother Mark, I just finished the “Wonders” blog post. It was a good eye opener for me, thanks for your efforts, now hopefully I can study more about these wonders that GOD is and was so gracious to share with mankind. A Prison of Mine Own Making: Am I a People-Pleaser? Do Not Fear God’s Plan. Embrace it! MarkJemilBooth's Blog Blog at WordPress.com.